For those of you who’ve been reading my blog for awhile, or know me in real-life, you’ll know that I have quite a special relationship with my little brother Scott. I’ve written about him and his disabilities before (notably in this Skittles Cake post and this Disney Princess Cupcakes one too) and I’ve definitely shared his absolute addiction to all things peanut butter with birthday treats like PB Scooby Doo Cookies and Peanut Butter Cup Ice Cream Sandwiches. Well, turns out my little brother isn’t so little anymore. Not only is he 21 and has a beard, but he’s also now a high school graduate!! Scott has attended a special needs high school for the past 7 years and his graduation was a big deal for our whole family, and definitely for him as well. If you thought I obsessed about my wedding, you should have listened to him talk about his graduation party for the past year. He was even wondering who would be the photographer (that’d be me) and DJ (Ryan) for the big event. 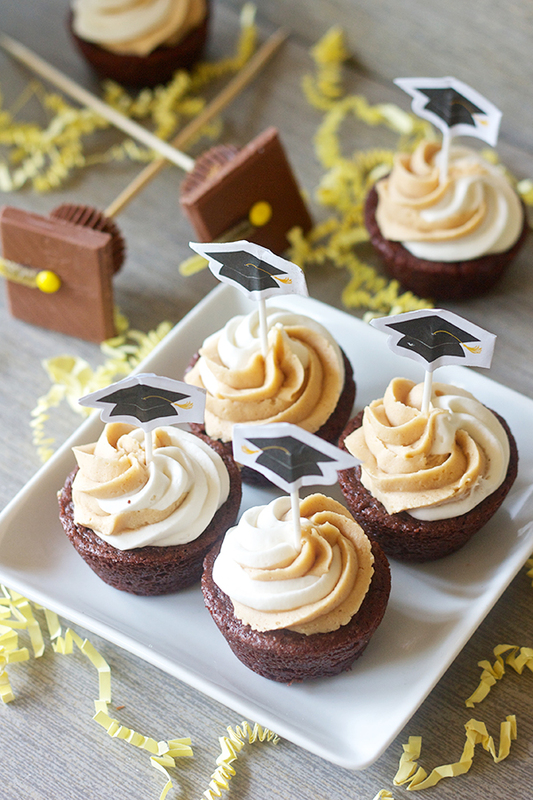 So of course I had to step up my game for the party of the year to honor my favorite brother in the whole wide world with these fluffernutter brownie cupcakes and peanut butter cup graduation pops. Scott is probably one of the pickiest eaters known to man, and he’s all about consistency through the years. He’s been eating peanut butter and fluff sandwiches for lunch at school for as long as I can remember. If there are a few things you can always count on being stocked in my parents house its definitely JIF peanut butter and marshmallow fluff. Food of champions, right? Well he’s certainly a champion in my mind, so I transformed his favorite sandwich into frosting set atop a brownie cupcake. The two-toned technique is something I did years ago with these Pink Lemonade Cupcakes, and I have been dying to use it again. 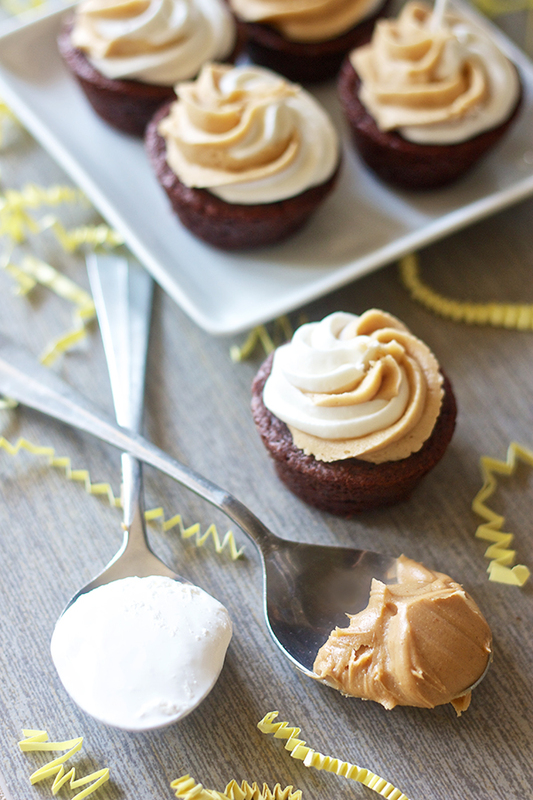 It creates such a cute look on the cupcakes and ensures you get a little bit of peanut butter and fluff in every bite, just like a proper fluffernutter sandwich. 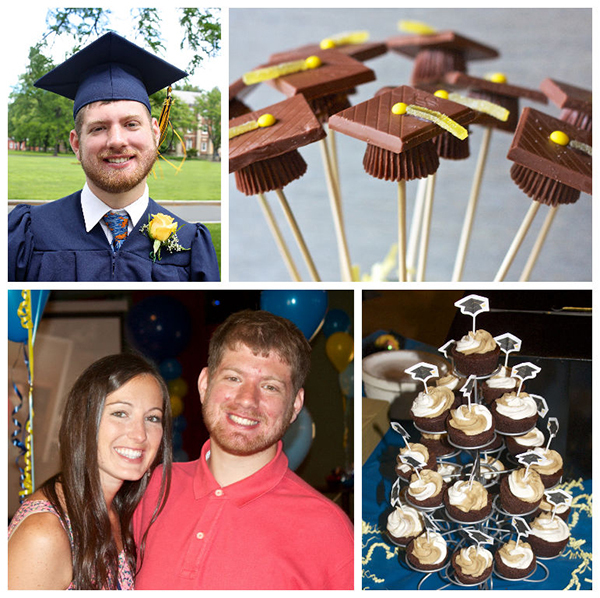 Since he loves peanut butter so much, I couldn’t not make Bakerella’s famous graduation candy pops using miniature Reese’s and chocolate squares for the party as well. 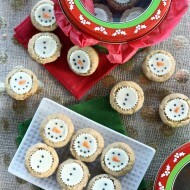 They’re so easy to make (check out her instructions here) and they are such a big hit with guests. I used yellow candy buttons and sour straws for the tassels since his school colors are blue and yellow and thus made for the color theme of the party. My mom also picked up some last-minute graduation cupcake toppers from Party City to make them festive, but you could make your own toppers for any occasion or just keep them plain. 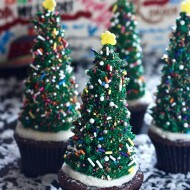 These mini cupcakes were so yummy, dangerously addicting, and disappeared very quickly at the party. Seems like Scott isn’t the only one who loves the fluffernutter combination! 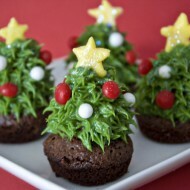 Preheat the oven to 350 degrees and grease a mini muffin pan with non-stick cooking spray. Prepare the brownie batter according to the package's instructions. Divide the batter into 36 of the muffin wells, filling them about 3/4 of the way full. 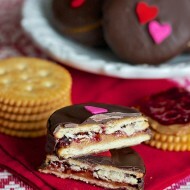 Bake for 15-20 min, or until cake tester comes out clean. 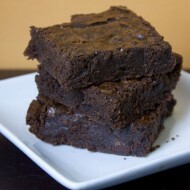 Allow brownies to cool in the pan for 5 minutes, then transfer to a wire rack to cool completely. For the marshmallow frosting, beat the butter in the bowl of an electric mixer until light and fluffy. Add the marshmallow fluff and vanilla extract, and continue beating for another 2 minutes. Add the confectioners sugar and beat until smooth. Then add the vanilla extract and mix again for 1-2 minutes. Transfer frosting into a piping bag so it's half-full and clean out the bowl of your mixer to make the peanut butter frosting. For the peanut butter frosting, beat together the butter and peanut butter in the bowl of an electric mixer on medium-high speed for 2-3 minutes, until light and fluffy. Add the vanilla and beat until incorporated. Reduce the mixer's speed and slowly add the sugar. 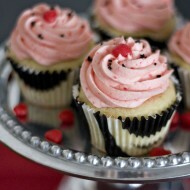 Once the sugar is incorporated, increase the speed to medium and beat the frosting for another 2 minutes. Add the milk and beat again until smooth. Transfer this frosting to a separate piping bag so it's half-full. This was such an awesome post, I’m finally breaking out of my stalkerish silence and saying hello. Hello! 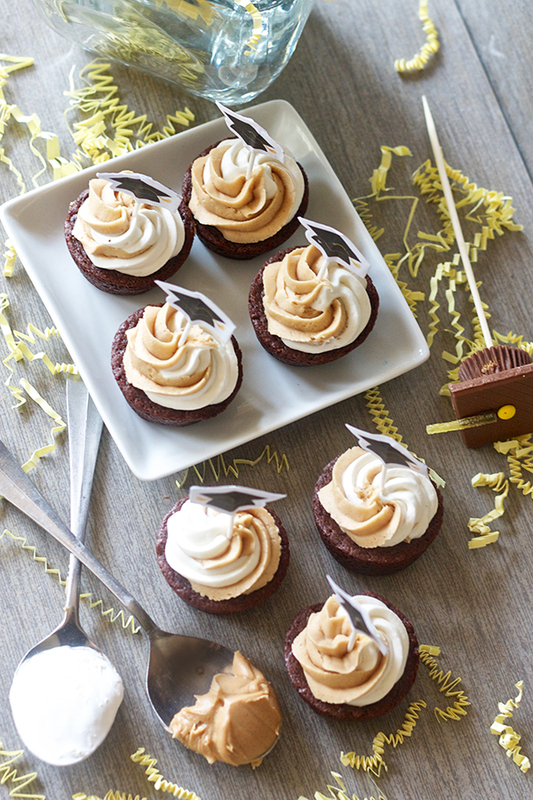 It was such a joy to read about the story behind these (totally awesome, btw) fluffernutter brownie cupcakes–it sounds like your brother has his tastes–and heart!–in the right place…as do you! Just lovin’ what I’m reading here, Erica. Hope we can stay connected in the future! I love that picture – It’s the biggest smile I’ve seen on Scott in the last 20 years!!! i love pb. they look great! This is such a sweet post, I almost cried. Congrats to your little brother and those cupcakes look amazing! 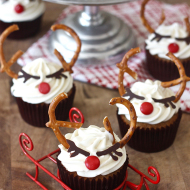 Not only do these cupcakes look DELICIOUS (so delicious, in fact, that I might make them tonight), but I wanted to write to let you know that I am so very touched by the relationship you and your brother have with each other. 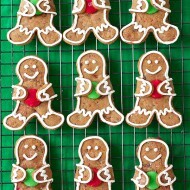 Keep baking, taking gorgeous photos and writing fantastic posts! What a lovely party for your brother! 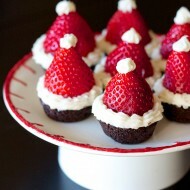 Those cupcakes look and sound delicious!